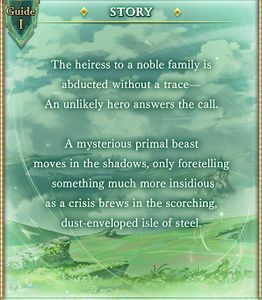 The Cowardly Hero and the Captive Princess is a side story. It is unlocked after completing Festival of Falling Flame. It became available on August 24, 2017. This event is part one of the Stan and Aliza series. Part two is Boots & Blades. Part three is A Thousand Reasons. An unlikely hero answers the call. 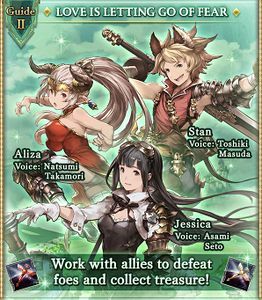 Complete each chapter, quest, and boss; each awards Crystal ×50 on first-time completion. 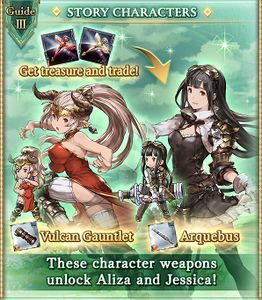 Obtain the event character weapons to recruit them permanently. Purchase the 20× Half-Elixirs; they provide much more AP than is needed to farm them. Purchase the 50× Soul Berries. Earn trophies for additional Crystals. Simple character with decent buffs for early-game. Can recruit her early, which is great for beginners. 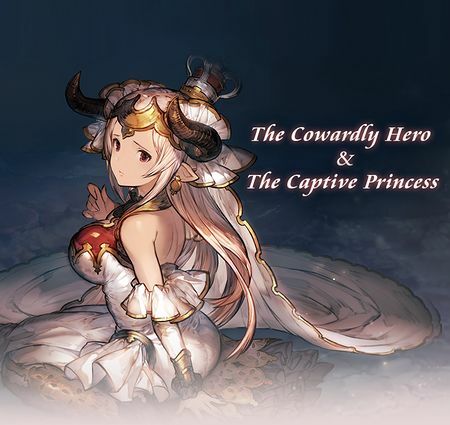 Her ATK Up self-buff is very potent. Doesn't scale well into later game stages. Wind damage to all allies. 4-hit Wind damage to random allies. Drop table last updated: 2017-08-24, all stated drop rates are estimates. 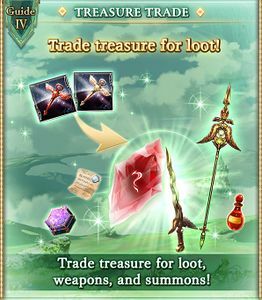 The event shop sells the Nephthys summon and Fire and Wind weapons. Items restock with higher costs when sold out. This page was last modified on 10 December 2018, at 13:05.